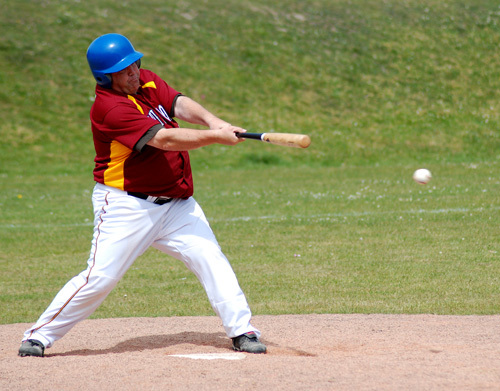 The Mavericks continued their push towards the play-offs, by taking both games of a doubleheader with Southampton, on Sunday. 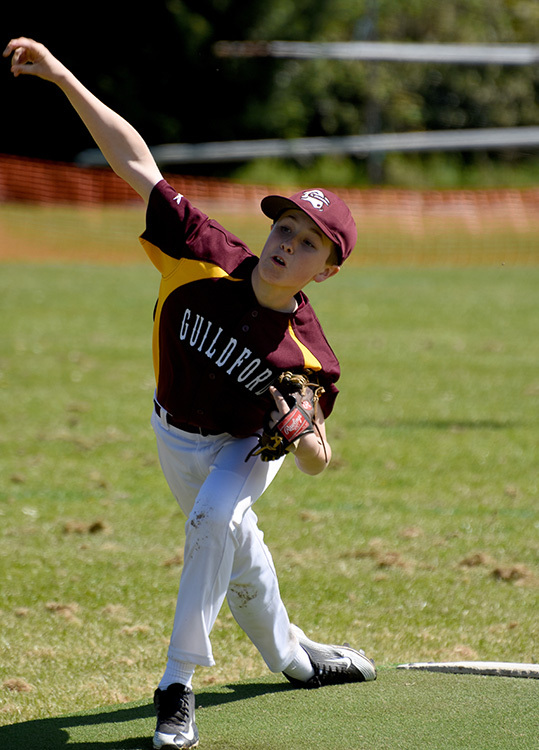 Having split the s eason opening doubleheader with the Mustangs down in Southampton, Guildford continued in the same vein, taking the first game comfortably 14-4. 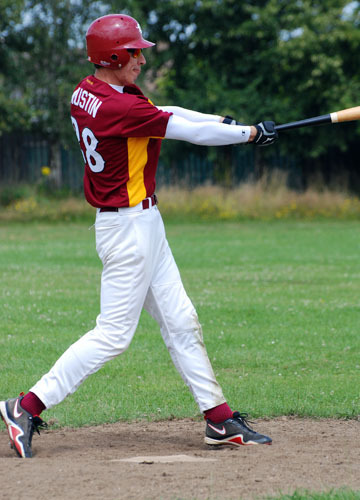 Keyed by pitcher Piotr Tarcynski, who started his first game of the season, the Mavericks took an early lead in the bottom of the first as Dave Austin drove in the first of his 2 runs on a 4 for 4 day to put Guildford on top 2-1. It was however the second inning that made the difference, as the Mavericks put 10 runs across the plate with both Scott McGrane and Christian Schmidt scoring twice, and Austin doubling in two of the runs. Tarcynski took a while to find his control straight after that 30 minute inning giving up a couple of runs as the Mustangs loaded the bases. However a couple of strikeouts put paid to any more damage. With both sides shut out in the 4, Southampton were still 10 behind and facing the slaughter rule in the 5th. A lone run was not to prove sufficient, as the Carlos Garcia in his penultimate game with the Mavericks was driven home by yet another Austin base hit. Game 2 was a slightly different affair. 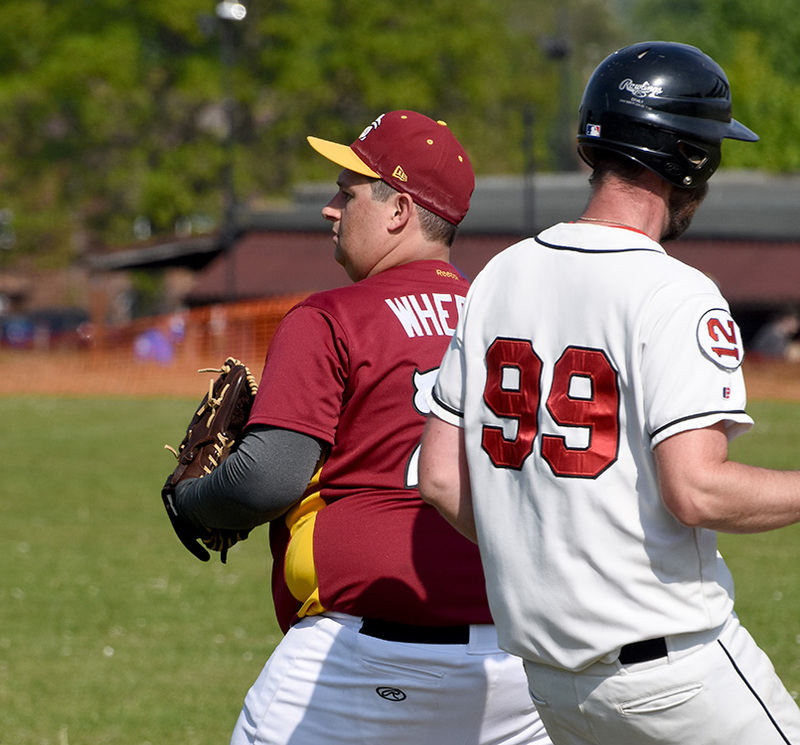 The Mavericks defense did not provide pitcher Rob Wheeler the support they had in the first game, and although Southampton put Finney on the mound again to start game 2, runs also flowed from the Mavericks bats. 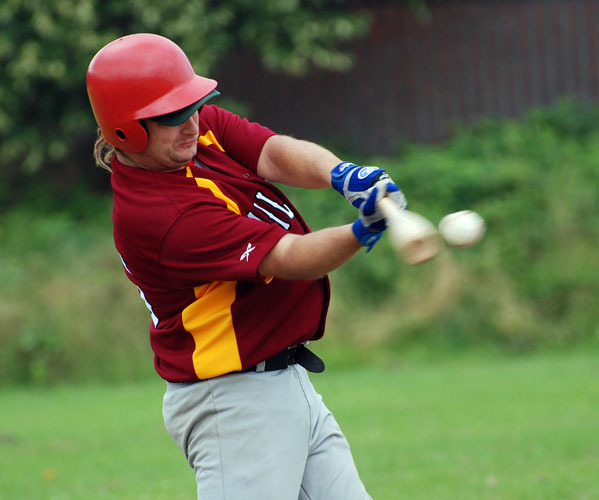 Playing in only his second game for the Mavericks and on his first at bat of the day, Ryan Hicks homered to left field to help propel Guildford to an 6-2 early lead, although the Mustangs were soon to tie it up. A 5 run third saw Southampton in front again, but a 6 run 4th was their undoing and as the Mustangs relief flagged, the Mavericks really piled on the runs in the 5th inning, with both Phill Nathan and Will Frawley using their speed to cross the plate 4 times each during the game, as Guildford ended the game again on the mercy rule. The end of game two was also a time to say goodbye to one of the Mavericks. Carlos Garcia, returns to his native Spain, after 3 years with the Mavericks, due to job commitments. 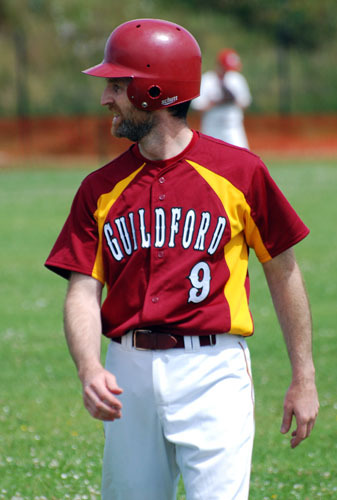 He takes with him a solid infield glove and a very good bat, that will be sorely missed in Guildford. However the hope remains that maybe the future will see an overseas tour, taking in the delights of Madrid!! Good bye Carlos, and good luck for the future. 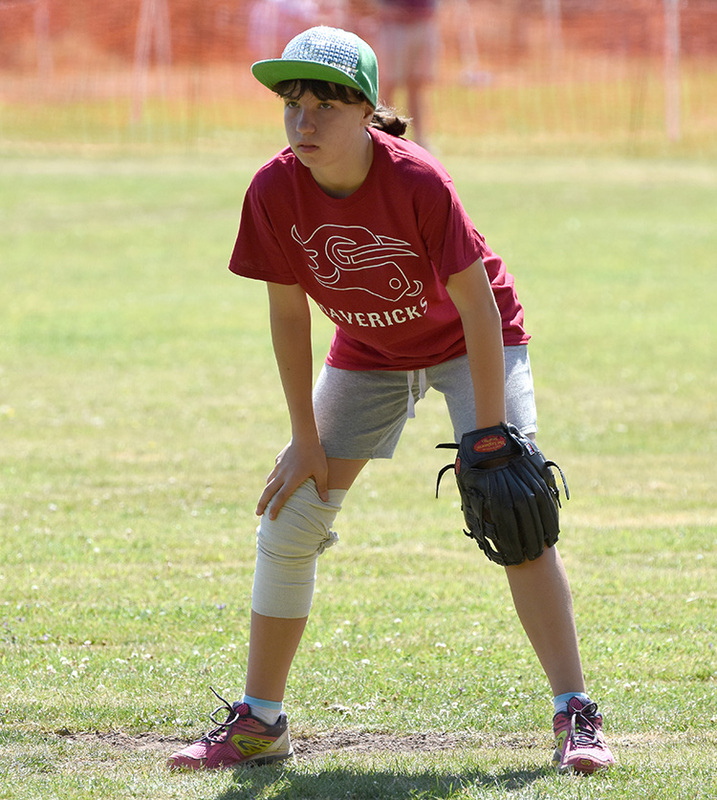 Overall a good day for the Mavericks, although the bats were on the whole stronger than the gloves, but praise must go to both pitchers who both throw over 100 pitches on what turned out to be a hot and humid day. 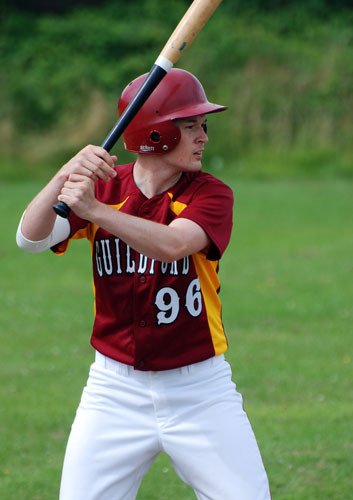 So Guildford keep in the play-off race, and with a week off next weekend, have time to prepare for the doubleheader at home to Daws Hill, which in all likelihood will determine who takes the 3rd and final play-off spot in pool B.